David Davis, known for his keen sense of humor and lyrical style, has written several titles in Pelican’s Night Before Christmas Series, including Redneck Night Before Christmas, Trucker’s Night Before Christmas, and Nurse’s Night Before Christmas. 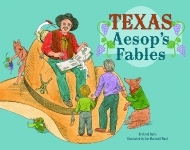 His books Ten Redneck Babies and Jazz Cats were named to the Children’s Choice Top 100 List. A finalist for the Texas Golden Spur Award, Jazz Cats was also a selection of the Accelerated Reader Program. Davis has published pen-and-ink artwork, cartoons, poems, humor, and short stories in various magazines and newspapers. He won the Mississippi Press Association award in 1996 for his political cartoons. An active speaker and presenter, Davis lives in Forth Worth, Texas. Jim Harris’s delightful, eye-popping artwork has graced the pages of original books and classic retellings, such as The Tortoise and the Hare, Rapunzel, and The Three Little Pigs. Three Little Dinosaurs, written and illustrated by Harris, is a hilarious twist to the classic tale of the three little pigs, as a hungry, pea-brained T-rex chases three brachiosaur brothers. Critically acclaimed Tuesday in Arizona, written and illustrated by Harris and his wife, is the tale of a downtrodden miner and his pack-rat companion. Harris currently resides in Upper Moutere, New Zealand. You will love this book!" This is a great holiday story MUST! For your family, teacher, and favorite librarian or library. 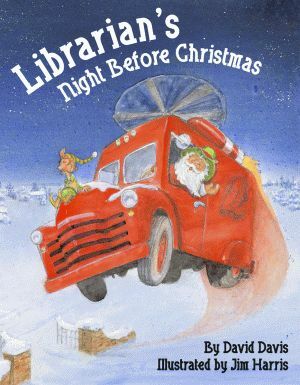 A delightful story about not only giving (what Santa knows how to do best), but also the encouragement to read.